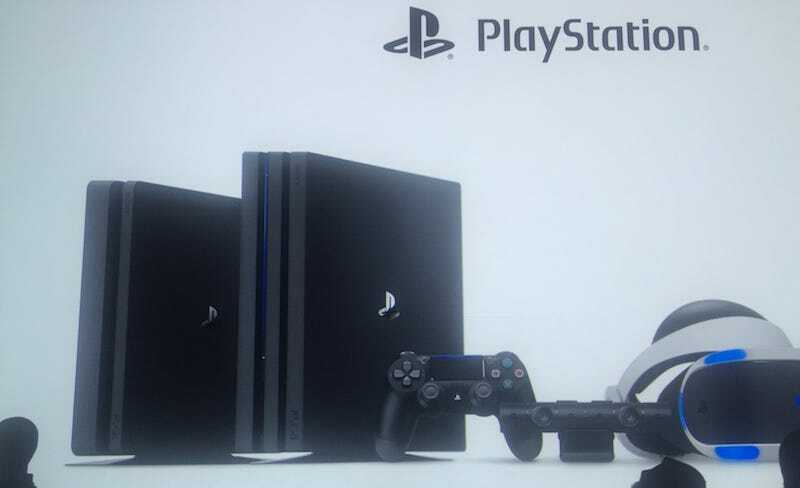 Meet the Neo, officially called PlayStation 4 Pro. It’s a more powerful PS4 that will support 4K and HDR. It’ll cost $400 and be out on November 10. “Our goal is to deliver high-fidelity graphical experiences,” lead architect Mark Cerny said on stage during a hardware event today. It’s got a faster CPU, a 1TB hard-drive, and an upgraded GPU. It’ll also be backwards compatible with all PS4 games. Cerny showed off a few games running on Pro—Watch Dogs 2, Deus Ex: Mankind Divided, For Honor—and they certainly looked crisp. Activision came on stage later to announce that the new Call of Duty: Infinite Warfare—as well as last year’s Black Ops III—will support PS4 Pro. BioWare’s Aaryn Flynn also took the stage to show gameplay footage from Mass Effect: Andromeda. Every old PS4 model will get HDR support in a new firmware update next week, Sony added during the presentation.